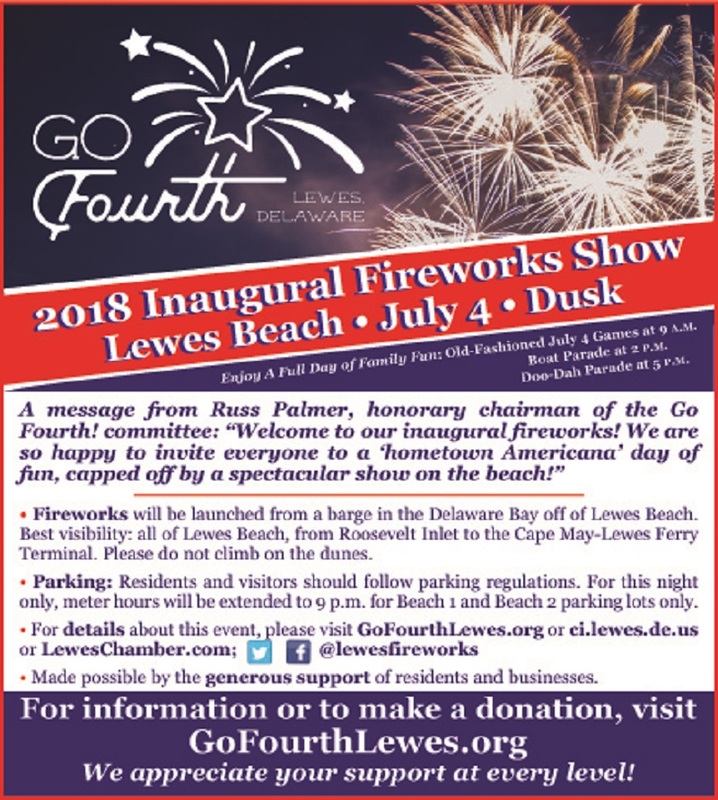 On July 4th, 2018 Go Fourth! will organize a 20 minute fireworks extravaganza at dusk off Lewes Beach. The display will be produced by Schaefer Fireworks of Ronks, PA. The display will be launched from a large floating barge by Hays Tug and Launch Services of Chester, PA, anchored 500 feet off Lewes Beach. The use of a barge increases the viewing area along the beach and is safer for those watching along the shoreline. The use of a barge will also prevent beach closures needed for setting up on the sand.